Margo Reeder, MD is an Assistant Professor in the Department of Dermatology. 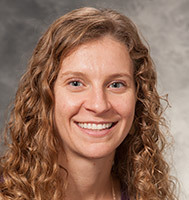 She received her medical degree from Mayo Clinic School of Medicine in 2009 and completed her residency at University of Wisconsin School of Medicine and Public Health. She is board certified in Dermatology and serves as the Medical Director of Quality Improvement for the Department. Dr. Reeder specializes in allergic contact dermatitis and patch testing. She is a member of the North American Contact Dermatitis Group, a specialized group of dermatologists who study the epidemiology of allergic contact dermatitis. Additionally, she volunteers on several committees for the American Academy of Dermatology and has previously served on the Board of Directors for the American Contact Dermatitis Society.